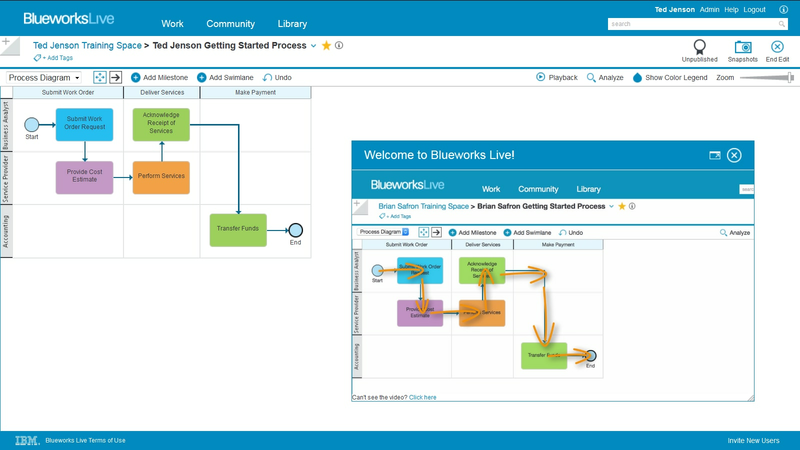 IBM® Blueworks Live™ is a business process modeling tool that lets you discover, map and document your processes. It is easy to use and accessible anywhere through a web browser. The cloud-based environment allows for effective collaboration in a way that is structured and usable by anyone in your company. 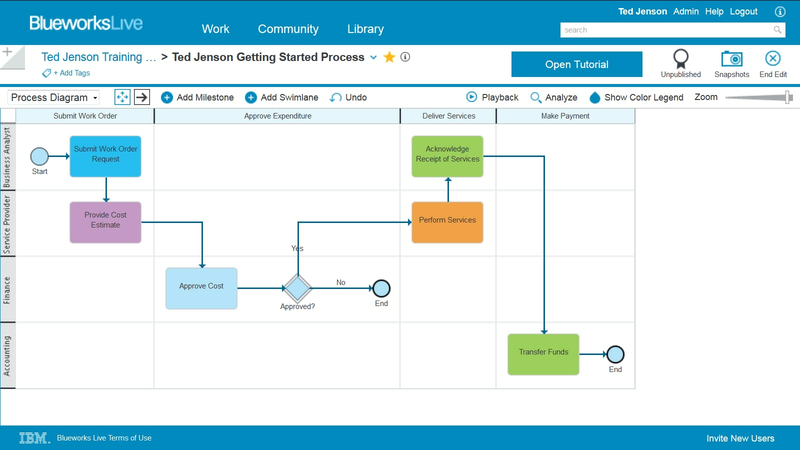 Tutorial videos guide you through creating and editing a simple process model, allowing you to learn and perform business process modeling in minutes. Quickly build processes in a straightforward cloud-based interface designed for both IT and business users. A central process repository eliminates version control and consistency issues by providing users real-time access to process workflows. A shared team workspace engages all business process owners, encouraging cross-team participation and continuous process improvement. 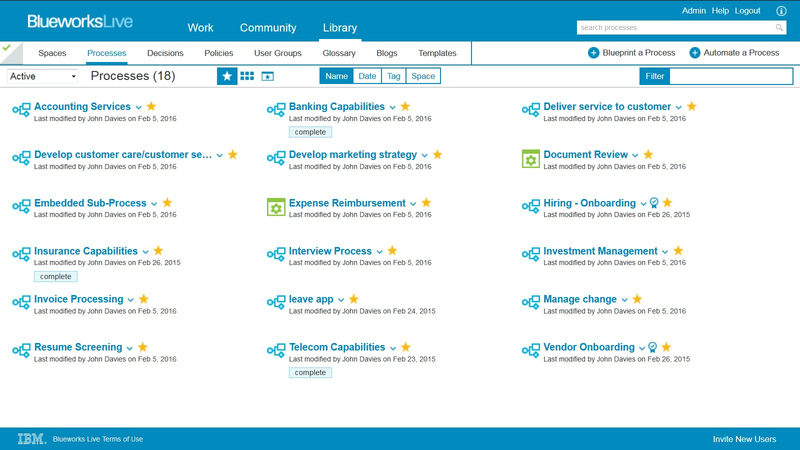 A dedicated, collaborative environment to build and improve business process maps. Analysts, subject matter experts and contributors work together. 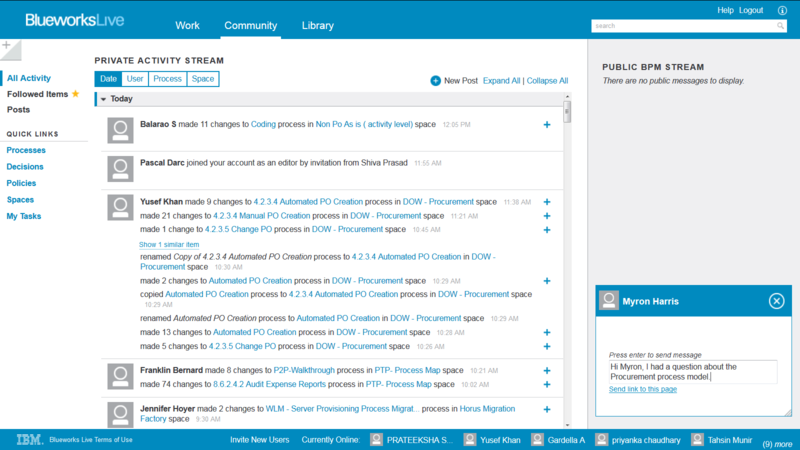 A collaborative version where contributors work to review process maps from a single interface.